We are pleased to showcase one of the first installations of Doen DJ172 waterjet in Europe. 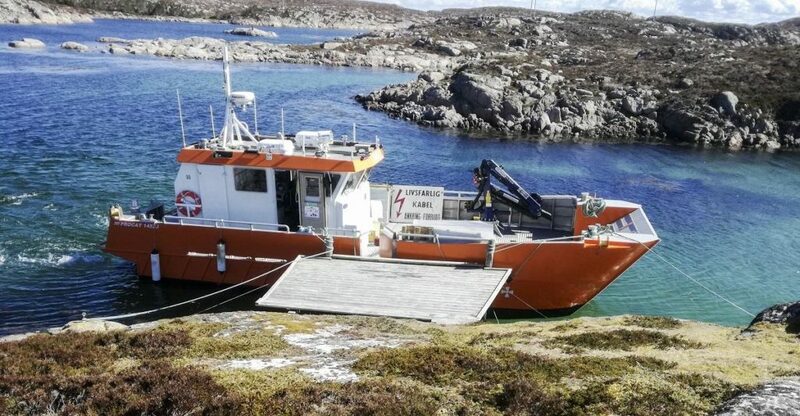 This aluminium catamaran is the latest addition to the collection of rugged workboats, which Promek AS. has designed and delivered to be deployed in archipelago service, port authorities, oil recovery and other supervisory functions. Power is provided by two FPT N67 570 diesel engines, coupled into twin DOEN DJ172 waterjet through ZF286 marine transmission. A reduction ratio is used to optimize the waterjet impeller selection and the gearbox also provides the vessel with disengagement and a back flushing capability. The vessel attains a top speed of 25,5 knots at fully laden displacement condition (23 tons). Please contact Sea-Tek AS for more information on our waterjet propulsion offerings.